Today I got email from one of my family member that asking me what is Data Usage screen in his Samsung Galaxy Note II is all about and how to use it. For your information, data usage monitoring is very useful for user who want to limit their mobile data usage since nowadays mobile Internet Service Provider (ISP) such as Celcom or Maxis offer their internet service with several package which depends on how much you afford to pay. For example, with Celcom (since I use Celcom), they offer RM58.00 for 3.0GB data per month and some other package which you can refer to their website. So here, I would like to briefly explain how to use Data Usage screen from my point of view (using my Samsung mobile phone, basically about same with other phone as long as you are using Android 4.1 Jelly Bean). If you have a different view, you are welcome to put your comment below. and you will see this screen as shown below. On this screen you will see item like mobile data, set mobile data limit, data usage cycle, monitoring graph, and lastly some decription on how your data usage performance looks like. Mobile data - this checkbox allow you to ON and OFF your mobile data. 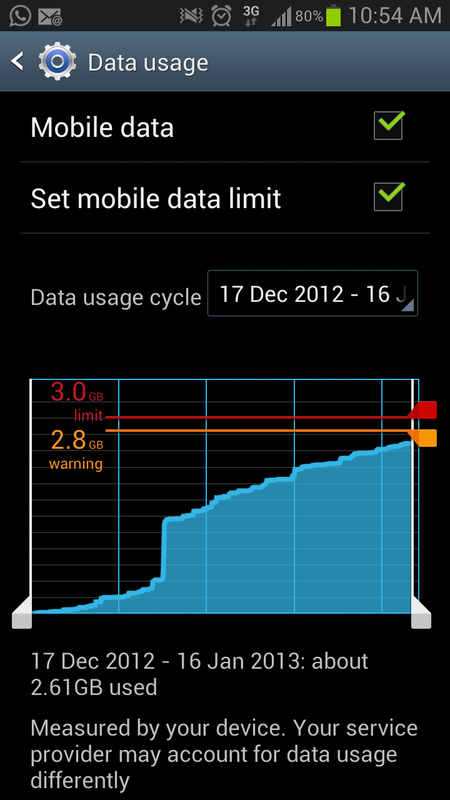 Set mobile data limit - this checkbox allow you to set limit or give warning on your mobile data usage. If you untick this checkbox, the phone will not give you warning if your usage is over your setting limit. If you tick this checkbox, the phone will automatically switch off your mobile data feature once you reach the warning line. Data usage cycle - this text area allow you to set your data usage cycle or your phone bill cycle. For example, you received phone bill on the 17th January 2013, so you data usage cycle is 17th Jan 2013 - 16th Feb 2013. On the graph, you can see two (2) lines which are limit and warning line. You scroll up and down to set you limit and warning line. In my case, I am paying RM58.00 for 3.0GB, so I set my limit at 3.0GB and my warning line is at 2.8GB with Set mobile data limit checkbox is tick. 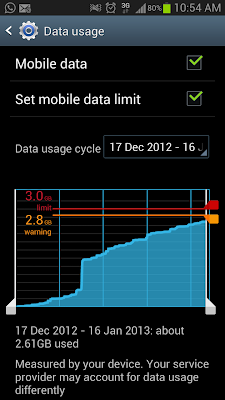 So, when data usage reach 2.8GB, my phone will automatically set my Mobile Data tu OFF. So, no more data network for me until next data usage cycle. 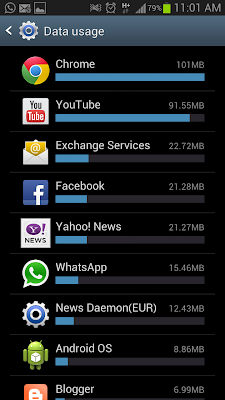 If you scroll down on your Data Usage screen, you will see screen as below image. 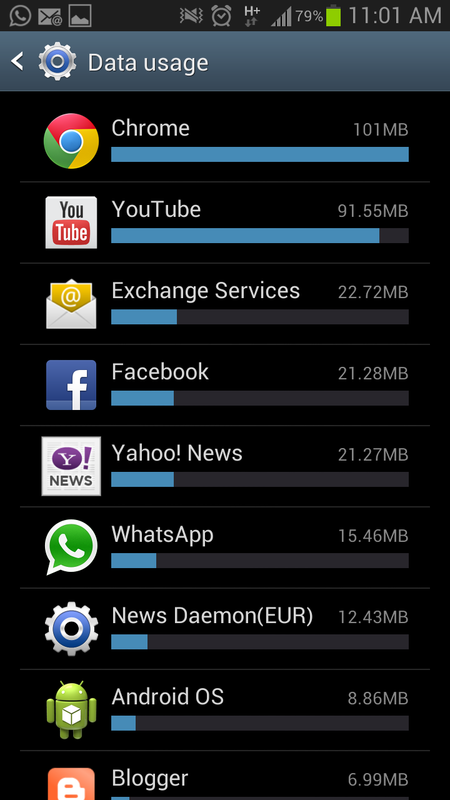 In this screen, you can see what application you use and how much data you are using for each application. I hope with this so call tutorial, you can understand and able to use whatever feature the phone is provided in the Data Usage screen. 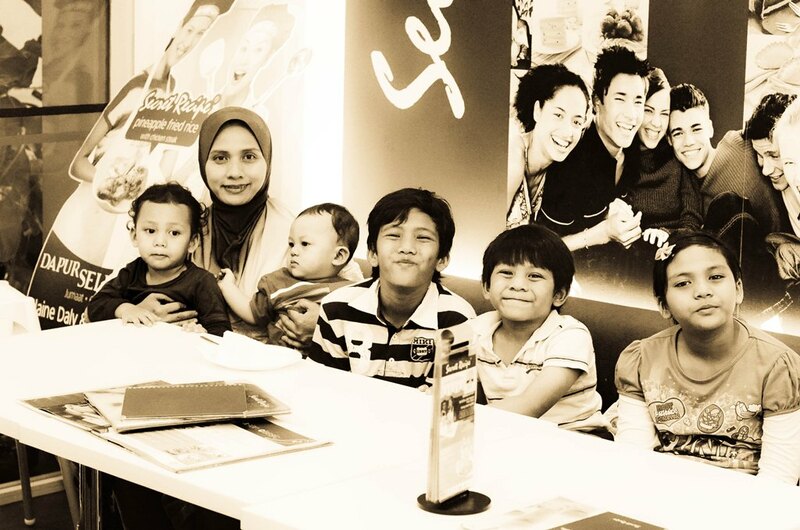 Itu dah kena tukar pakej tu.. hehehe..